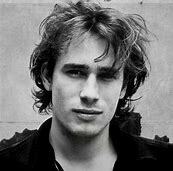 On this day in 1997, whilst waiting for his band to arrive from New York, the enigmatic singer/songwriter Jeff Buckley, went for a spontaneous swim, fully clothed, in the great Mississippi river in Memphis, Tennessee. And this was the last time the world would see Buckley until his body was found a week later. Nobody knows why Jeff went for that swim; but we all know that the world lost, that day, a seriously talented musician, a beguiling live act and someone who undoubtedly would have become a huge presence in the music world. Despite only recording one studio album, 1994’s sublime, gorgeous and ethereal Grace, Buckley’s legacy and legend has grown over the years. Grace is a collection of his own songs and stand out covers; his version of Leonard Cohen’s Hallelujah, with its start of a sharp breath by Buckley is sublime and has become perhaps the version of this amazing song. For me, though, Jeff’s version of the James Shelton song, Lilac Wine, is just one of the most beautiful moments in popular music. Jeff’s voice soars with emotion and regret, bringing a sharpness and clarity all within a simply performed score; the moments the voice takes over to sing unaccompanied are heartbreakingly gorgeous. Those lucky enough to have seen him perform, and especially those who witnessed his legendry performance at the 1995 Glastonbury festival, will attest to both the power and vulnerability Jeff brought to the stage. He had a presence that was almost hypnotic, you hung on his every word and movement. A truly beautifully handsome man Buckley seduced you with his apparent innocence, although you knew that that was often a mask hiding inner demons. And inner demons he certainly had, the son of 1960’s folk jazz luminary Tim Buckley whom he only met once, at the age of 8, before his biological father died of a drugs overdose in 1975. It was after this traumatic event that Buckley took his father’s surname, up till that point he’d been known as Scott Moorhead, his stepfather’s family name. Though he had a very short career, his legacy has grown through both the releases of unfinished works, live performances and demos. With a cult following you can also see his influence in a number of acts and bands that followed such as Starsailor for instance. 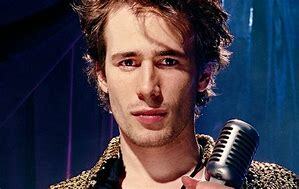 What can be said though is that despite being that short burning star for an artist to have a work so amazingly brilliant and wonderful as Grace will always mean that Jeff Buckley will live long in our hearts and souls.